Our Explosives Detector Dogs are hand selected to provide the most reliable and energetic working bomb dogs on the market. Pacesetter K9 places each canine through a rigorous testing phase before purchase. 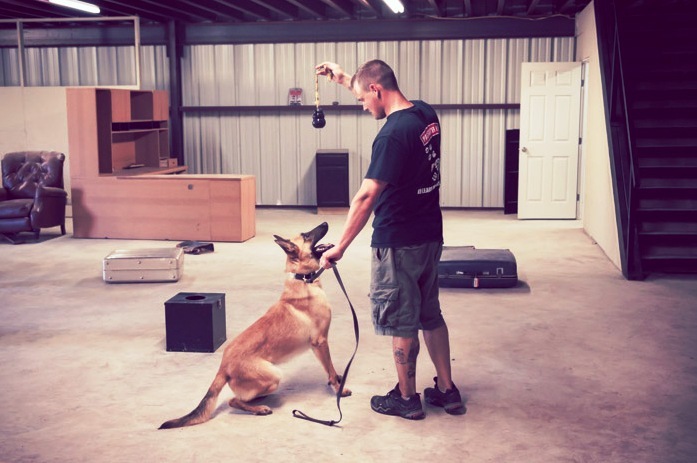 Once at our facility, canines then receive consistent, professional training and quality care to make them superior Bomb Dogs. Bomb Dog Teams are typically used by law enforcement officials to search vehicles, luggage, buildings, and/or any location suspected of containing dangerous substances. Pacesetter K9 uses realistic and real life scenarios to train our Bomb Dogs to excel in real world situations. 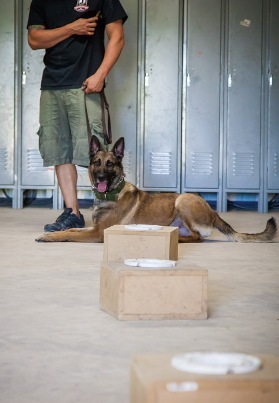 K9 Handler Training is included with the purchase of a fully trained Bomb Dog.